Welcome to our friendly service at Minster Records. 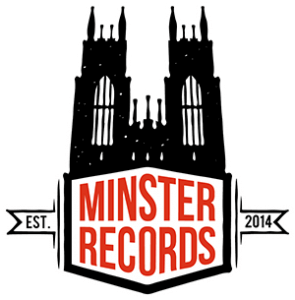 Minster Records attention to service has made us a popular retailer for both first time and our repeat customers. we take upmost care in all our vinyl & our strict gradings mean 95% or more of our stock is in Excellent to near mint condition. We professionally clean every vinyl we put out to ensure the best listening experience for you the customer with a wide range of collectible and rare used vinyl records and all genres to choose from, Lp’s Singles, you’re sure to find exactly what you’re looking for! If you require assistance, our qualified staff will provide you with expert guidance. We’re looking forward to meeting you! If you have any questions or specific requirements please email us using the contacts form and we will be happy to help, if we cannot meet your needs immediately we will contact you when we have the stock available. A nice local pick up this morning of around 600 albums.. Mainly 70s 80s Classic rock with a few nice items among them. Our Bank Holiday Fixtures are as follows..
We buy all aspects of Vinyl Records. 60s 70s 80s 90s 2000s Rock , Prog Rock , Punk , Indie , Soul , Reggae , Metal , Folk , Blues , Psych , Classical.. Albums , Lp`s , Singles, Picture Discs, E.p`s, Promo`s : Also Cd`s , Music Cassettes , Turntables + Music Memorabilia. We pay the BEST prices in the UK for Excellent condition lots, rare items & will beat any previous written quote on whole collections. And we also visit you at home to view/buy taking the hassle out of you selling your collections in these busy times. Our records are professionally cleaned using our inhouse MOTH cleaners and graded according to condition, we will also clean customers records for a small fee. We also now offer a Vinyl flattening service, we can correct warped or Dished vinyl. We are always on the look out to buy whole collections. We have many years experience in buying & sourcing Vinyl - We like to keep things simple. We`re keen to purchase your quality Vinyl. Sell to us in complete confidence and safety , if you have a large collection we can arrange to visit you. No fees, no negative feedback, no excuses, no fuss. We buy outright and pay immediately. Music Cassette tapes bought and sold. We buy and sell vintage or secondhand turntables. You can also contact us by using the form below: Please leave a contact telephone number if possible.